Raven's Peak is the first book in the series, following events in the life of our two protagonists; Abigail - a hunter of all things supernatural, and Haatim - a seemingly innocent bystander dragged into a world of nightmares and demons. However no one is truly innocent and coincidences keep piling up in Abigail's latest mission. Why can't she remember events from a few months ago, and why won't the council let her investigate her mentor's disappearance? Raven's Peak invites you to join in on this ride as our 'heroes’ discover just what chaos these demons are planning, and how deep their reach truly is. I've given this book a rating of 8 out of 10. It's incredibly easy and fun to read with great pacing and natural dialogue throughout, with perhaps a few minor exceptions towards the end of the book when the narrative required the protagonists to discover a location that would have been hard to organically reveal. This coupled with a few typos and linguistic errors are why I've only given it 8 rather than 9, but these really are quite minor and did little to detract from the overall enjoyment of the story. Cole manages to keep the story moving well, even when jumping from different perspectives in a fight, a notoriously easy act to get bogged down in, the story continues to flow. The characters are, rather importantly, both interesting and believable, and while Abigail in particular sometimes falls into the troupe's of the 'badass action heroine, fighting alone to save the world' she is by no means a bland stereotype of the genre. 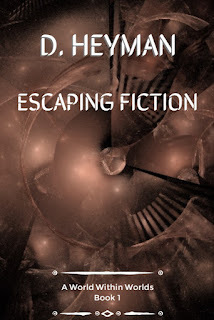 It's a pretty strong entry into a dense world of supernatural fantasy literature, one which I would suspect has been influenced by other giants of the genre such as the Dresden Files or the TV show Supernatural. This is by no means a bad thing, nor overly surprising since these all draw from the same historical and religious background source material. Unlike the others mentioned though, Raven's Peak focuses heavily on the spiritual and dismisses the possibility of encountering vampires or werewolves early on. I really appreciated that of the writer and it's nice to see a writer stepping away from the aggressively overused villains of the supernatural and instead search out a much older nemesis for the protagonist. 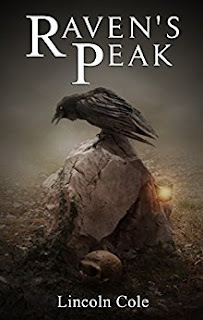 The world of Raven’s Peak stands alone well and builds its own spin on the classic tale of good vs evil stemming from the eternal war between the mortal and Judeo-Christian demonic. The first book also gently touches upon the fact that demons are just one worldview from which we label these beings, something that I hope is expanded upon in the rest of the series as it would be a nice way to continue to set itself aside from its peers of the genre. 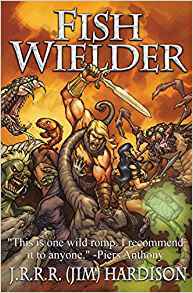 I would definitely recommend this book to anyone who has enjoyed books like Alex Versus, American Gods or the Dresden Files and I am very much looking forwards to getting stuck into the next in this series!